I feel on the biggest missing features is native support for Markdown. Please add native Markdown to Evernote. Hi All, I'm very excited to announce that we have officially increased the notebook limit from 250 to 1,000 for all paid tiers! You can see those new limits here: https://help.evernote.com/hc/articles/209005247 If you have any feedback/suggestions regarding this update, please post them in the notebook limit feature request thread: We will likely lock this thread soon. At that time, please feel free to reach out to me directly, or start a new thread regarding your feedback, suggestion, or concern! Feature Request: Add Outlining Capabilities to Evernote Evernote is great, but it's dying for the ability to create Notes that contain Outlines which are easily collapsed and expanded during creation and in use. One way to implement it would be a switchable editing mode, between standard formatting or outline mode. In outline mode, pressing the Enter key creates a new outline item, and pressing the Tab key changes the current item into a sub-item. Clicking on an item's action icon causes its sub-items to collapse out of, or expand into view. That's the way the Ecco Pro PIM did it, and something simple like that would be a good start for Evernote. The name Evernote implies a product that takes notes -and collapsible/expandable outlines are a huge part of note taking. I read Ian's introductory blog this morning. He said he wanted to hear from customers. I couldn't find an easy way to pass along my feedback. Ian, I hope you'll read this. I think I'm one of your earliest users. My first note is dated 1/3/09. I was using a Mac at that time but switched to Windows, back to Mac, and back to Windows. For a while I used a Windows touchscreen laptop. I have Evernote installed on my iPhone and iPad. I've tried OneNote. Bleh... As I think about the apps that make the use of a computer worthwhile, there are just a few: a web browser, Microsoft Office, an email client, photo editing software, an autocorrect utility, a screen grab utility – and Evernote. Rumors of Evernote's demise greatly concerned me. I am hooked on using Evernote as sort of a Swiss Army knife to use to write down my thoughts, keep notes on various things, capture snippets of information, etc. I use the Web Clipper all the time. It is very handy to capture a note on one device and look it up on another device. It's been hugely important to be able to load Evernote on a new computer and have almost 10 years of notes, thoughts, and information magically appear on it. But I've had my share of frustrations too. Only recently the dictionary function on Windows seemed to get fixed. Really? The UI is all over the place. Honestly, I never seem to remember how to use the iOS apps, both of which are oddly different. Touch on my Dell laptop didn't work because Evernote stopped supporting touch (maybe you do now; I don't have a touchscreen laptop now). I have lived through the Evernote Moleskine days and all of that distraction. In 10 years I've never really felt like Evernote truly knew what its center of gravity was. I hope that will change. Here are some thoughts... Make Evernote nice to look at and easier to use: It's been a while, but I recall that the Mac UI was really nice. The Windows UI is utilitarian. Hire some designers and UI experts and spruce it up. Create some consistency between the iPhone and iPad apps and allow users like me to easily move between them. But don't dumb Evernote down: If I want a dumb note app, I can use Google Keep. OneNote used to be overly complicated and now they have made it overly dumb. Easy to use should mean easy to use, not dumbed-down to the lowest common denominator. You probably should support Markdown: It's not my cup of tea, but why not offer it to customers who love it? I think there are a lot of folks out there would would prefer to write notes in Markdown. This is my cup of tea: I would like the choice of a more sophisticated editor. I don't want a Word clone, but some more formatting tools would be nice. One thing I would love is the ability to set my own paragraph spacing. I would love to have Styles. A table function that really works would be nice. How about offering three editor UIs: Document creation, standard (i.e., the one that is used today), and Markdown. Leverage your cloud: I've always wondered why Evernote didn't go in the direction of Dropbox, Google Drive, and OneDrive. Evernote was the "100 year company" – I would have trusted my photos (30,000 of them) to Evernote. Now I pay Microsoft. That might be too far from your center of gravity but it makes more sense to me than Moleskines. Fire your brand consultants: Recently I read Chris O'Neill's blog article titled "CEO Notebook: Say Hello to a Refreshed Evernote". It read like a long-form Dilbert comic. "Engage with what matters!" "Extend impact!" "Explore What's Possible!" Evernote is a software product. It does stuff. It will not solve world hunger or achieve peace in the Middle East. For my photo editing I recently switched from Adobe Lightroom to Capture One because its features are better. I use Snagit instead of free screen grab utilities because its features are better. I could go through the list of the software I've selected and I suspect in every case I make a choice because of a combination of features, ease of use, visual attractiveness, and price. Microsoft office is the only thing I use because my company requires it. Stick to making the product better. Fire your brand consultants and hire some UI experts. Software quality has to be rock solid: The dictionary thing really got to me. How could a company in business as long as Evernote have such a flaky dictionary? There are other software issues I've encountered over the years. This is table stakes. In conclusion: Please don't let Evernote die. It is a pioneering product that is still very relevant. It has competitors but I think Evernote is still the best. You need to keep it there. You need to keep a clear eye on what you do well and avoid things that are peripheral. I think Adobe's strategy is a good one to watch. They are creating a cloud-centric model with a solid focus on the workflow of creative people and leveraging the power of tablets. Although I personally prefer a competing product, I think from a strategy point of view they are making some excellent moves. What Microsoft is to office apps, Adobe will be to creative apps. Maybe Evernote won't ever be a Microsoft or Adobe, but I think you should aspire to being identified as the King of the Hill in a core area of application usage. Good luck! Hopefully many of us have seen the Great Big Brand Refresh Announcement, with its link to the Greater Bigger Details on Medium. First I had to stop yawning, then I had to get my eyes to stop rolling so hard. Evidently the big news is: minor redesign to the elephant; some typography; some other typography. And evidently this is considered vital to Evernote's mission. The Greater Bigger Details go on and on about a "system," but evidently that refers to the "system" involved in the branding itself. What if any changes are planned for Evernote's actual working system--i.e., what they're planning to break without telling us--doesn't seem to be said, although between the yawning and eye-rolling I may have missed it. Now, I know that some of you all here work in marketing, and can explain to me exactly how important this is for Evernote to help me "focus on what matters most" to me (that's the brand slogan motto tagline catchphrase). Kindly don't. Thank you. I think it's obvious, at this point, that Evernote users want the ability to select the default thumbnail for notes. I agree that it seems ridiculous that this conversation started in 2013 and 4 years later this hasn't been added to the application. As a visual person, the thumbnail helps me quickly find what I'm looking for. For example, when I'm looking for a recipe for pancakes, an image of the video (pertaining to the recipe) of two cooks doesn't help me find what I'm looking for. I need to be able to select the pic of the stack of pancakes. The whole purpose for using Evernote is to be able to organize things so that they are easily found/accessed. I'm confused why this isn't already an option. This seems so simple to implement. Can we get some love on this issue?! Share appears to have replaced reminders so I now have to dig to create reminders. I've created hundreds of reminders over the years ... I've shared two notes, so easier to find the actions you most use? ... not for me. FWIW. Dear Evernote : I'm not going anywhere. I just ask that Spaces and password protection be made available to ALL premium users. Fast track feature development for ALL users, not just teams. Get creative. Surprise us. You've been a success tool for me since 2004. Let's take EN to the next level. I'll wait. ? Hi All, I wanted to reach out to provide some updates regarding the discussion forums. Over the past several months we’ve been working to improve the overall discussion forum experience. The first phase of this ongoing process was to better organize/curate content within the discussion forums. As those of you who have been with us for awhile have most likely observed, we completely overhauled the categories, classifications, and locations of the forum thread topics and updated the cosmetic aesthetic. The intent of these changes was to better classify user posts, and have those posts better organized and curated by type. In turn, this better enables users to find what they’re looking for, and better enables us to hone in on user sentiment as the forum content is now more centrally located. Since that reorganization, we’ve been working to implement the second phase of our forum improvement plan which seeks to provide better support resources, further organize the forum content on a more granular level, and better enable us to collect/analyze user sentiment and feedback. With this in mind, I wanted to provide an idea of what that means for you, and the changes you’ll be seeing. First, we’ve added some limited forum support via our customer support agents. They will continue the work we’ve done to organize newly posted content, assist with user inquiries when able, and help to enforce our Code of Conduct. Second, we’re beginning our work to organize content on a more granular level. This means that we will begin merging similar threads and topics. This will have an especially high impact on feature requests as those are the topics that will most likely be moved, and or merged together. To elaborate, this reorganization may cause some threads to disappear. If they do, this does not mean that the thread’s content is missing, but rather, the content has moved or been merged into a different location. Due to some technical limitations, merging threads does not merge the topic’s vote count. However, be assured that we’ve manually noted all of the vote counts, and have them calculated into the data that we’re relaying to our other teams. By merging individual threads together, and organizing content on a more granular level, we will be able hone in on the user sentiment more accurately and expediently, and help to provide a better overall Evernote experience If you have any questions, feel free to reach out to me directly! Thanks for this report. Please try these steps to fix this issue: Select File > Exit to close Evernote Open the task manager to confirm Evernote is not running as a background process (select "Evernote and End task") Open 'regedit' (Windows key + R, then type regedit) Expand the HKEY_CURRENT_USER folder Expand the "Software" folder Expand the Evernote Folder Click on the second "Evernote folder" so that a list of Values displays on the right Right-Click "EnableHardwareAcceleration" Select "Modify" Set Hexidecimal Value to "0" Select File>Exit to exit the Registry Editor Reopen Evernote Please let me know if the issue continues after completing the steps above. Thanks! I would love to see Grammarly incorporated into Evernote. Evernote is my preferred platform for writing but Grammarly offers the tools I need to write better. Together = ??? Yeah, I'm reaching the point where I might abandon Evernote in favor of something that DOES support markdown. Yeah, it is. Burying features to add more clicks to the workflow is a big deal. Hi All, Many of you have asked for templates and we’re thrilled to announce that they’re here! In the past, we’ve offered templates in the form of sample notes that you can copy to a notebook, then duplicate to reuse. While this has been a popular workaround for a long time, we feel templates deserve an easier solution and better home in our product. Now we offer a way to quickly find and apply a template when you create a new note. You can pull from our gallery of 30+ pre-designed templates and save them to your account. In addition, if you subscribe to Plus, Premium, or Business, you can turn any of your existing notes into templates. Your personal template gallery can be accessed from any new note by clicking the Templates button. From there you can find templates on our website, search your saved templates, edit template names, delete templates from your account, and apply templates to a note. You can find more information here: Blog post How-to Videos There’s more to come for templates, so stay tuned. As always, please feel free to start a separate discussion for feedback/suggestions, or feel free to reach out to me directly! Hi everyone, I lead Evernote's security team. I wanted to make you aware of a recent update to Evernote for Windows versions 6.4–6.7. All Evernote apps connect with our service over HTTPS, which ensures that the data you send between your devices and our service is encrypted. We recently discovered a security vulnerability in older versions of Evernote for Windows that caused affected clients to use HTTP when contacting certain portions of the Evernote Service. This means that if you used one of the vulnerable versions of our Windows client, our software was occasionally sending your authentication token across the Internet using HTTP without first encrypting it. To be clear, your note content, usernames, and passwords were, and continue to be, securely encrypted in transit. Your password is still safe, and you don’t need to change it. To protect customers, we have blocked access from older versions of Evernote for Windows and have done the same for a small number of third party applications. We have also revoked the authentication session tokens for anyone currently running a vulnerable version of our app. If you had previously blocked upgrades beyond version 6.7, we are providing a hotfix that you can download here: https://cdn1.evernote.com/win6/public/Evernote_6.7.6.7584.exe We strongly encourage all customers to update to the latest version of Evernote for Windows. As an additional precaution, you should log out and back in to refresh your authentication token. We have already notified customers that were affected by this directly via email. @emmgee I just wanted to let you know that I passed on your insightful post directly to Ian, and can verify that he personally read the complete post. If he wasn't super busy right now trying to come up-to-speed and meet with everybody, I think he'd like to personally respond to everybody on the forum and engage in a conversation. He may still if he finds some free time soon. But, I encourage everybody on here to continue to engage in these conversations. We might not always be able to respond, but we're listening. This is a definition of 'easier' that I am unfamiliar with. They clearly spent a lot of time on the rebranding. I hope that doesn't mean that rebranding matters the most to them. As opposed to, say, fixing all of the little things that have been bugging us users for years. This is a very, very, long-standing HTML feature, and oh so very useful for long notes. Two features I see essential for long (more than one page/screen) notes: Anchors/bookmarks Collapsible sections Both have been available in web pages since the early days of the web (late 1990's). ATTN: Evernote/ @Jackolicious, @SoftwareMarcus, @Justin Street: Come on, this is the very definition of productivity! I agree. @Evernote: May I suggest that you thoroughly test and get user feedback on changes to long-established UI BEFORE you publish a GA release? Just because some new kid on the Dev Team thinks it is a good idea because it follows some esoteric UI guidelines, does NOT make it so. IMO, you should NEVER change well-established UI without very good cause to do so, and without thorough end-user testing. SW development 101. Sorry, Evernote, but really? Much ado about nothing. ? Sure, everybody likes a new coat of paint, a new color, even a new veneer. But it is very disappointing if you go inside and it is the same old broken furniture. The time for fanfare and celebration is when you have really new app that works with very, very few bugs, and maybe, just maybe, you have implemented a few of the long time often requested features. Then bring out the paint brushes and champagne. Why Aren't Spaces Available in Personal Version? We're working on it! Spaces are a pretty big architectural change (from both UX and technical perspectives), and work best for Teams - which is why we're launching for Business first. We're looking into bring Spaces to personal too - I'd love to have one for my family too. I don't understand why after almost 10 years this has not been implemented yet. Also, I don't understand why workarounds such as tags are considered a good solution. Is it that complicated to add more hierarchy levels to the structure? 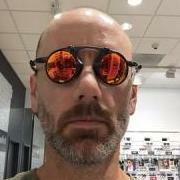 Hi guys, This is the developer of EverTool, an Evernote editor helper. In this post, I would demonstrate why I create this tool, how this tool can help you enhance the productivity, and present all the features you can use in this tool. Thanks for gazumped suggested to post it on this forum. As one of the Evernote user, I love Evernote and I think it is still the best note-taking tool. However, there are some features requested by lots of users, like Markdown, text style management, templates, etc.. As an engineer, I agree that the Evernote team has their roadmap to build and enhance this product. I think to build a successful product needs time and a thoughtful plan to make sure the new features fit most of the users. But like other users, I still hope I can use Markdown, code highlight, and other features to enhance my Evernote productivity. Therefore, I build EverTool, an Evernote editor helper. What is EverTool? EverTool is a kind of third-party app for Evernote. But it's not like other third-party apps. EverTool works independently from Evernote. Working independently means two things: EverTool will NEVER request the authorization from Evernote Keep the original usage behavior of Evernote Why do I think these two points are important? Many users use Evernote to manage their data. Especially for business users, they use Evernote to save secret data and communicate with team members. When we use Evernote, we trust Evernote, but do you trust other third party integration apps they can fully access your data? Another point is keeping original usage behavior. Evernote is an excellent tool. It already provides tons of useful features. Thus, when using EverTool, you don't need to change any usage of Evernote. EverTool is just a helper. You only use it when you need it. How EverTool works? It's super easy to use. Three steps make your note better: Cut the text → Click one of the actions in EverTool → Paste to Evernote Useful features In this section, I will introduce all the features of EverTool in version 0.3.0. Before we started, just keep in mind, the usage is the same: cut and paste. Text style management When creating a note, we usually use the same font style to present the same level. This feature will be handy when you want to reuse the text style. (It's similar to the styles pan of Microsoft Word). Demo: Transform Markdown This thread has great discussion about integrating Markdown in Evernote. Here I provide the EverTool solution. Demo: Resize images to the same width When we import lots of images to Evernote, Evernote will use the original image width to present on the note. If the image is too big, it will be full width. Think about if your note has many images and all of them present full width, your note will be very long and filled with images. This action can help you resize all images to the same width in one click. Demo: Highlight text We know Evernote only provide one highlight color. This action can let users define any highlight color. Tutorial: https://evertool.app/how-to-use/customized-highlight-color Transform Excel spreadsheets to Evernote native table Some users hope Evernote can provide the more powerful table, like primary math function. But in my opinion, Excel or Google spreadsheet already do a really good job. We can keep Evernote as a presentation place and do the complicated calculation on Excel. Therefore, what we need is transform the spreadsheets to Evernote table seamless. Demo: This action support Excel, Google spreadsheet, Mac Numbers and Evernote table. Therefore, you can also use it to beautify your Evernote table! The table style is also customizable. Url → Url + Title This feature is based on my personal usage scenario. I usually paste links in my note, but it is just url not the title. Of course, I can copy the title of the web page and alter the url name in the note, but it's too slow. Thus, this action makes you select all urls and transform them to urls with the title. Demo: Highlight code Dear engineers, it's time to write your technical notes on Evernote! EverTool supports 74 different highlight code themes. Engineers can write beautiful technical notes on Evernote. Demo: In short, EverTool is an independent tool provided several useful features. It's just a helper but it's powerful. All the features mentioned above are all customizable. You can define the font style, table style, highlight code as you want. Besides, it supports on both Mac and Windows platform. If you like this app, you can buy this app on Mac and Windows store to support me develop more useful features in the future. It's a one-time payment and you can enjoy all the follow-up update. Download link: Mac Store: https://lihi.cc/l9Twv Windows Store: https://lihi.cc/c1EEv EverTool is well documented. Know more on the homepage ?https://evertool.app/ Thanks for the reading. Should you have any suggestion, please don't hesitate to leave the comment. Hope EverTool becomes the wings of Evernote. Make Evernote fly farther and higher. Cheers! Hi All, I wanted to take some time to announce some changes you’ll be seeing in the discussion forums that we hope will help to improve your experience! First, we will be enabling a feature called Best Answer that will enable the person that starts a thread to mark a specific reply/comment as the ‘Best Answer’. This will then mark the thread as ‘answered’, and enable other users to quickly see that the question has been answered. To mark a reply as a Best Answer simply click on the 'check mark' icon in upper left hand corner of the post you're marking: When marked with a Best Answer, the thread will look like this: Then, you can see the 'Best Answer' clearly marked in list of forum posts: Our hope is that the Best Answer feature will better enable users who are asking questions to get the information they’re looking for, while also enabling users that have similar questions to find that same information more easily. Secondly, we’ve received a lot of feedback on the similarities between the FAQ’s and Best Practices sections. As there is a lot of overlap between the two, we’ll be merging the FAQ’s and Best Practices into a single forum under the banner FAQ's: Best Answers Moving forward, the FAQ's: Best Answers section of the forums will become a repository for the Best Answers we see in the other parts of the forums. Essentially, think of the FAQ's: Best Answers sections as a sort of best answers hall of fame. Hi All, I'm very excited to announce that we have officially increased the Notebook limit from 250 to 1,000 for all paid tiers. You can see those new limits here: https://help.evernote.com/hc/articles/209005247 We will likely lock this thread soon so if you have any thoughts/questions feel free to reach out to me directly if you're unable to share those here in time! You made simply deleting a note a two action process by hiding it under the (“…”)!! This is the worst idea ever... I obviously am deleting notes all the time to clean up... and now you are doubling my time for this most basic function??? I am soo annoyed right now.. and i've been a paid user for almost 10 years... seriously put the delete note icon back on the note! This is an unacceptable change! The major problem with Evernote is that they don't fix bugs. Simple as that. They want us to use Evernote Business. They've been wanting that for the past year or more. But here's the thing. Do they think companies sit around their conference room table and decide on a business product without anyone there having used the product? Of course not. Someone has to be at the table who uses Evernote, and who convinces the table that it's the way to go over all the competitors. That's how its done. But in the last year and half, users have been pretty pissed at Evernote, as personal users, because of the lack of SQA and bug fixes. I tried Evernote for business. I wanted our company to use it because I use it and I tried competitors and I preferred Evernote (if there were a few changes/tweaks). But there is no way I could recommend it (and I'm married to the President of the company!). There are too many bugs that don't get fixed in a timely manner, and by timely manner I mean DAYS, not years. Yes, DAYS. Usability bugs, of course. The big ones. And some still exist after a year. Who in the world could recommend that for a business? I don't know if the article is accurate or not, I don't know if it is a good thing that all these executives are leaving, but I know one thing: Evernote for Business will only succeed when regular Evernote users are happy with it. They are the ones who recommend it (or not). Fixing the elephant is salt on the fire with so many outstanding bugs. So is the ask to try Evernote for Business. By not fixing bugs they are saying: we have more important things to do. And users like me tell CTOs and CEOs, don't go with them. They don't take you seriously. Hi all, Today we’re celebrating a pivotal moment in Evernote’s history: the launch of our refreshed Evernote brand. You’ll notice some immediate changes, like a different color scheme and an updated logo. But our mission hasn’t changed: to help individuals and teams remember everything, turn ideas into action, and work better together. As of today, we’re reaffirming our purpose: helping you focus on what matters most. Check out this post on Medium to find out more, and please share the news with your networks! Hi folks, I lead the security team at Evernote. If you, or the people in your network receive an email from Evernote mentioning that we’ve detected suspicious activity, please know that this is not a hoax or spam message; it’s from us. The Evernote service and our apps are still secure; however, we discovered an unauthorized person testing a list of usernames and passwords that they stole from a site not associated with Evernote. If this person had the correct password for your account, they connected an iPhone app to it; and then used that app to search for cryptocurrency credentials. You need to take some actions to protect access to your account. Change your password to a unique one. Make it one that isn’t easy to guess. Make it one that you don’t use on another web site. Consider using a password manager to keep track of your passwords. Revoke any Authorized Applications that you are suspicious about or that accessed your account from an IP address you don’t know Install an anti-malware application on your computer and run it periodically to clean up any known malware. Setup two-factor authentication on your account, especially if you don’t want to use a unique password on your Evernote account. Then, even if someone learns your password, they won’t be able to access your account without also stealing your phone. Just like Excel's paintbrush where font size, bold, italic, spacing above/below, colour, indent are copied by marking the source text and then marking the destination text. I have been a Premium user for over 5 years, my entire life is in Evernote, and am on the verge of leaving the service because of the lack of this feature. It's becoming a deal-breaker for me. Markdown is the standard for most newer note taking apps. At the moment, I'm running three note taking apps concurrently: increasingly, I'm just using Evernote as a file and web clippings storage dump area, Google Keep (with a Markdown extension) for notes, lists and thoughts, and Ulysses (a Markdown writing tool) to develop notes into actual articles and books. This is SO irritating because I am constantly switching between three apps. With Markdown support, I would be able to move entirely back to Evernote for all my note taking AND writing needs. Once again, it would become the most important app in my life. Writing in Markdown lets me: Create proper structure to long and complex notes Move from a rough thought, to research, to a full article, and even to a book, without worrying about formatting (I can focus on content) Simply export and publish my writing to almost any publishing outlet (blogs, my actual print publisher... they all want Markdown!) More and more, I'm asking myself why I'm paying so much money every year for Evernote when I could just use Google Drive for storage. You're already failing me for the actual notes-taking and writing parts. I know I'm not the only one who's thinking this. Please guys: I love Evernote and I don't want to move my entire workflow over to a new system, but you are leaving me no choice. As many others have written, I'm also very unhappy with the reminders hidden behind another click. In never share notes and use reminders all the time. Also: As mentioned frequently in this forum: Why is there no keyboard shortcut for adding reminders? Another new interface issue in 7.5 is visible in the following screenshot. There is plenty of space right there. Why does the name of the Notebook need to be abbreviated after ONE Letter? For me 7.5. is another step backwards in usability. @gazumped and other list view users: Note titles in Top/Side list view will not be bold in the 6.15 GA. Thanks for the feedback. After reading headlines, of Evernote’s recent woes, I started to shake my head ... again. This isn’t the first time reading controversy headlines about Evernote. In the past few years there been more negative press than positive. Rising membership prices, privacy concerns, downsizing and now the Death spiral (higher ups leaving). It doesn’t appear to look good for Evernote but for all we know it could just be fine. In a moment I’m going to share my insights and how Evernote can make a “shift” in a better direction. But before I do, it’s without suggesting that a lot of people have a grim outlook (within and external of this community) despite recent changes at Evernote. Avid and passionate users such as myself have a ill feeling for what may happen to our beloved green elephant. Maybe it’s the note industry, maybe it’s just the people running Evernote, maybe it’s just there’s too much competition that only the innovative ones stay profitable. I don’t think Evernote in a dire situation but I feel this is a pattern that keep repeating itself. In yoga there’s this saying, “you repeat what you don’t repair.” At this point it seems, whether or not Evernote is doing fine or steering for the worse, I feel they are loosing the confidence of the passionate loyal user base. And I feel it’s becuase Evernote may be making the same mistakes again and again. But, here are some of my insights and suggestions as to what is missing. Evernote has focused on team development, then focused on eliminating the noise and getting clarity on core functionality, then focused on focused on business enterprise with spaces, then focused on social media, then not to recently Evernote then did a rebrand /refresh. But at what point do they realize they must get back to their user base??? The loyal user base the ones who just take notes. The student, the small business owner, the creative, the busy mom and anyone who wants to “remember everythig.” Improving note taking experience seems to be the most important yet forgotten “ingredient” Evernote has fallen out of touch with. Being in sales all of my life there are acouple fundimental flaws Evernote is repeatedly missing each year. 1- People buy the benefit of the benefit. Example is spaces people don’t use Spaces to use the “what’s new” feature or even to keep on top of their teams correspondence. The benefit of the benefit might be as a business owner “I don’t want to have the stress of things falling through and having team forget things” 2- in the sale conversation I ALWAYS listen more than I talk. The more you tell the less you sell. Listening to your customer, they tell you what they want, what they don’t want, etc. And this type of dialing builds a deep level of trust because when a person feels heard and understood they will buy from you and only you, even though you charge more than your competitors. I feel Evernote higher ups have ignored the day to day user and overall user experience. There’s times when working on a project or in a sales process or trying to research and write and using Evernote is frustrating to navigate and use. Something as simple as a small font can really make work more difficult than it has to be. Or not being able to annotate PDFs with freedom or flexibility. Have you tried jumping in and out of annotating PDFs in Evernote? It’s miserable. When you look at the note taking applications that people are moving to they are typically note taking apps that look better. Have a better UI and text editor. Most notably Bear comes to mind. Having attracted many people from Evernote I feel it’s as though it’s because of the look and feel of the editor. Distraction free writing, more font options (sizes, font types and even spacing), more formatting choices (H1, H2, etc) and many useful editor tools. Evernote has many features and useful functions that Bear doesn’t have. So it makes me wonder, why have people made the transition? I think it’s because of the look and feel when people are taking notes. You want to be able to get lost in writing not squinting to see what you wrote. You want to be able to have attractive typography that you can structure and organize your notes with easy. You want to be in the state of “flow” when your researching and taking notes. Lastly, what I will also say about features is that in order to charge more you must offer MORE value. Over the course of the years I’ve noticed that Evernote focused on stability and improving core features like search. And that’s very important. However, people don’t buy stability necessarily, it just pushes them away when things are unstable. Introducing new features and upgraded features is what attracts new users and keeps fan base excited using a platform that they keep EVERYTHING IN. What got my goat was the amount of money likely spent on consultancy and redesign, not to mention repainting the office(s)! Stick that into coding I say - support your local coder! To all Guru's that keep saying the same thing about being able to do the same thing with tag. This maybe so but is not the point. Clearly for at least the last 9 Years people have been asking for the ability to nest stacks. We pay for this product and this is what we want so do it already.